Total luminous flux or light energy passing through the NANOBLIND eyesight protection filter is reduced by 55%. It means that only 45% of all light energy reaches your eye due to embedded micro-carbon slats in the NANOBLIND. The light energy is redirected, split, and absorbed by the thousands of nano-carbon filters to give your eyes the comfort it deserves. It also protects your eyes from stressful harmful light energy and gives you crystal clear images or texts on the screen. The products are available for laptops, tablets, smartphones and computer monitors. NANOBLIND™ eyesight protection filter is a new invention and different from others in the market in terms of its unique design structure and functions. NANOBLIND™ eyesight protection filter has a multiple layers of UV 3H hard coating for shock and scratch proof and anti-glare coating to eliminate light reflection on the surface. With so many of us using computers at work, eye strain has become a major job-related complaint. When looking at a computer monitor for more than one hour, the eyesight can be stimulated and irritated by the light energy. It may cause eye strain, dry eye, eye fatigue, eye irritation, conjunctivitis, blurred vision and other eye problems. NANOBLIND Eyesight Protection Filter is the right solution for your eye care during your computer work. It is a premere eyesight protection filter for 14 inch widescreen notebooks. The viewable screen size is W 12 3/16 x H 6 7/8 inch, 309.5mm x174.6mm. NANOBLIND eyesight protection filter is the right solution for your eye care during your computer work. It is a premere eyesight protection filter for 14.1 inch notebooks. The viewable screen size is W 11 1/4 x H 8 7/16 inch, 285mm x 215mm. NANOBLIND eyesight protection filter is the right solution for your eye care during your computer work. It is a premere eyesight protection filter for 14.1 inch widescreen-A notebooks. The viewable screen size is W 12 x H 7 1/4 inch, 305mm x 184.5mm. NANOBLIND eyesight protection filter is the right solution for your eye care during your computer work. It is a premere eyesight protection filter for 14.1 inch widescreen-B notebooks. The viewable screen size is W 12 x H 7 3/16 inch, 305mm x 183mm. NANOBLIND eyesight protection filter is the right solution for your eye care during your computer work. It is a premere eyesight protection filter for 14.1 inch widescreen-C notebooks. The viewable screen size is H 11 15/16 x H 7 7/16 inch, 303.5mm x 189.5mm. NANOBLIND eyesight protection filter is the right solution for your eye care during your computer work. It is a premiere eyesight protection filter for 14 Inch HD Toshiba Notebooks. The viewable screen size is W 12 3/16 inch x H 6 7/8 inch, 310mm x 175mm. NANOBLIND eyesight protection filter is the right solution for your eye care during your computer work. It is an eyesight protection filter for 14.1 Inch Widescreen Toshiba Notebooks. The viewable screen size is W 12 inch x H 7 9/16 inch, 304.8mmx191.2mm. NANOBLIND eyesight protection filter is the right solution for your eye care during your computer work. It is a premere eyesight protection filter for 15.4 Inch Toshiba Notebooks. The viewable screen size is W 13 1/16 inch x H 8 3/16 inch, 332mmx208.3mm. NANOBLIND eyesight protection filter is the right solution for your eye care during your computer work. It is a premere eyesight protection filter for 14 inch touch widescreen notebooks. The edge to edge screen size is H 7 5/8 x W 12 13/16 inch, 193.6mmx325.4mm. NANOBLIND eyesight protection filter is the right solution for your eye care during your computer work. It is a premere eyesight protection filter for 15 inch notebooks. The viewable screen size is W 12 x H 9 inch, 305mm x 228mm. 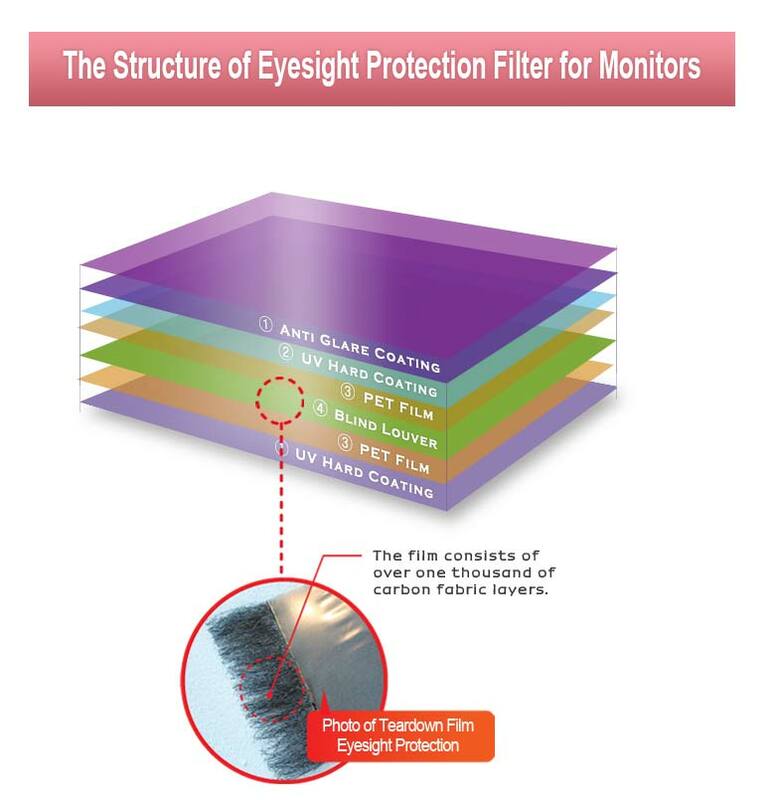 NANOBLIND eyesight protection filter is the right solution for your eye care during your computer work.